An assessment centre is a way of selecting candidates for a role. They might be internal candidates for promotion, external candidates for a job, or it may be internal candidates being assess for their suitability for roles within a new structure. Basically an assessment centre is a number of different ways of assessing someone’s ability to do a job. Based on the person specification a trained and qualified assessor will choose a number of tests or events that can be assessed. They may be psychometric tools that measure your ability to reason with numbers, or words, they may be problem solving exercises, they may be interactive exercises with other people. Sometimes actors are used to do work simulations. Sometimes you have to do a task in a group. You may be asked to do a personality questionnaire, a presentation or have an interview. They key thing is that you should be given more than one opportunity to demonstrate your ability of each competence, so if you do badly in one exercise you may pick up on another. Sometimes an assessment centre or number of psychometric tools are used to pre screen out applicants who do not meet certain criteria. For example if you need to be very numerate to do a role, all the applicants may be asked to do a numerical ability test and only those who score above the cut off point will get to an interview. A full assessment centre lasting over a day or several days is more likely in a senior role, where organisations like to collect a lot of information about a candidate before making a decisions. They are also used in graduate selection where fewer candidates have work experiences to draw on. Using an assessment centre in this way means that candidates will be screened on their applications before they get invited to attend. You may be asked to do some on line questionnaires before the day; usually this would be a personality questionnaire. At an assessment centre you will be working with other candidates and doing the same exercises as them. Don’t think that you shod try to compete with them and be overly competitive. Most organisations value team work and interpersonal skills; they will be looking to see how much you are cooperating rather than trying to ‘win’. What do they do with the results? The assessors on the centre should be pulling together all the information into a report for the selectors to review. Sometimes this report will recommend whether you go further in the process: sometimes it is there just to inform the selectors about your competence. Some reports will give numerical scores to all the exercises and then give the assessment centre as a whole a score. That would enable the selectors to have a very clear ‘merit order’ of candidates. Some firms have a profile of their ideal candidates, based on those who they have appointed previously and who have done well, they will be looking for people whose profiles are similar. In other assessment centres the report will focus on a narrative report stressing your strengths and areas that need further exploration. This would enable the interviewers to ask you searching questions about those competencies that you have not fully demonstrated in the centre. This gives you another opportunity to demonstrate your competence. This approach is more about recognising that individuals bring different strength and weaknesses and that choosing someone is about getting the skills that compliment those of other team members, or that might be specifically needed at that point in time. A year later they might chose someone with a different profile. Are the tests always an accurate portrayal of an individual’s skills and capabilities? Well yes and no! Performance in tests can be an inaccurate predictor of performance for many reasons, not least if the candidate has never done anything like this before. However the people who design the tests spend huge amounts of money and time to get them as good at predicating as possible. Don’t think you are a failure if you do badly.. just get some help to learn how to improve. VirtualeStaff is a contract staffing company that helps U.S. businesses reduce expense and retain talent for administrative jobs by recruiting highly skilled employees from, and maintaining infrastructure in the Philippines. VirtualeStaff works with customers to identify tasks that are suited for out-tasking with our workforce skillsets. We recruit, hire and manage a solution team from our headquarters in the Philippines. President Barack Obama presented his American Jobs Act of 2011 subsequent to months of rising National Unemployment Rates of 9.1% in July and August of that year. America asked the question: Will the AJA help create new jobs and will it do so quickly? Some Americans asked if the act was viable and necessary or more simply a prelude toward a platform of campaign promises in the upcoming 2012 Presidential Election. Related to 2012 and the predicted jobs market, GOP POTUS candidate hopefuls like Mitt Romney, businessman though he is, did not offer viable complete plans for job stimulus in their bids for candidacy. This did not help cure a growing distrust among the unemployed toward business in general. Eugene Levy’s used car salesman character on Second City TV, with his plaid suit, dance, and slogan that every car has a story, seemed more believable to some people than did the Romneys of the world. This group saw Mitt as a used car salesman in slick hair, smug expression, and expensive suit, selling an auto whose engine will fall out as you turn the first corner after purchase. Under the New Deal, the Works Progress Administration created jobs for three million men in America and aided in providing infrastructure and national parks development duringThe Great Depression. American Made gifts of all kinds for autumn and winter holidays, plus free coloring paqges. We thought Ohio Art Company would close down and take our favorite toys with it, but it was all saved! While opinions varied on the American Jobs Act in early days, certain US States were creating jobs on their own, under Stimulus Funding and other federal monies. One was Ohio. Under Governor Ted Strickland (2006 – 2010), the northeast and southwest quadrants of the state were targeted for improvement in education and jobs creation. In the north, the University of Toledo provided free tuition for area residents to pursue studies that could lead to long-term employment. In the south, from Cincinnati north to Westchester, Dayton, Fairborn, and New Carlisle, focus was directed on boosting the Ohio Space Corridor industries. Improvements to the Dayton-Fairborn Avation Heritage Region also helped jobs as related tourism grew. Even though Columbus was named the Number 1 High Tech City in the US later in these years, young professionals oftne moved to 1) Florida and 2) the Space Corridor. In Cincinnati, these workers found jobs not only in electronics/computers and aerospace/defense manufacturing, but also in a number of retail management positions. Through the efforts of both Strickland and Governor John Kasich (2011 – 2014), manufacturing jobs increased in Northeastern Ohio, while Kasich made plans to improve jobs creation in the remaining quadrant. These latter jobs would come from a massive Ohio River Bridge Project and a uranium enrichment project in Piketon some 60 miles south of the state capital. In addition, the Governor explored expansions in natural gas and shale oil production. At the same time, Kasich seemed in general to work against labor unions, which are active in connection with new jobs creation in infrastructure and energy sectors. Job sharing came to a brighter light in the 1980 Jane Fonda, Dolly Parton. Lily Tomlin film 9 to 5. Pairs of working moms each worked half a day, AM or PM, to accomodate care of their families. According to the film, it worked. Given the rise of freelance writers and others today that need to supplement their incomes while their businesses build, taking half-day jobs within work sharing measures sounds like a workable arrangement. In September 2011, a year and one quarter before the 2012 elections, where were the jobs in America and what sort of work did they entail? Throughout 2009 to 3rd QTR 2001, job openings listed across all Internet sources totaled from 4.5 Million to 6+ Million available. Still, at least twice as many Americans were looking for work. However, in mid-September 2011, only 3.6 million job listings could be found – a significant reduction in available jobs. At the same time, the American Jobs Act was introduced. The AJA Fact Sheet (linked to the right) states that 5 million people were looking for work when it was instroduced in Summer 2011. The figure may be low. The act includes tax cuts, tax incentives, school and infrastructure improvements,Unemployment Insurance overhauland worksharing, among other measures. Some of these may be effective measures; however, tax cuts and incentives to small businesses as a whole may need to be longer-term in order to produce enough jobs for American workers. We need to know much more about the UI overhaul. Worksharing might work in some metro areas. Worksharing has been done in France and minorly in the USA (as job sharing). In this measure, the average work week is reduced so that others can work the remaining hours. For example a 40-hour week is reduced to two 20-hour jobs in the case of working moms in the USA. Generally, the trend seems to be to reduce full-time work to 30 hours, leaving 10 hours to place into another position. At the same time, Unemployment Insurance as it stood in 2011 covered only workers that worked 35 or more hours per week. Would the UI overhaul address this problem? What job titles offered the largest numbers of jobs during this period of 9.1% Unemployment in July, August, and early September 2011? Contract jobs increased 70% – This is a huge increase. Contract jobs also save employer expenses. Temporary jobs increased 28% – This suggests futher unemployment. Permanent jobs decreased 30% – This is discouraging and suggests further unemploment. Full-Time jobs increased 3% – This figure needs to rise substantially and is rising in some US States. Source: Data provided by SimplyHired.com, a search engine for jobs. Total Jobs Listed decreased 1.5 Million in August-September 2011. If only 5,000,000 people were looking for work in September, as stipulated by the AJA, then millions of people must have been hired during the end weeks of the summer. This is because previously, 4 to 6 million jobs were listed, with twice as many people looking for work. If 5,000,000 unemployed = 9.1% Unemployment, then the total number of workers employed in America was only about 55,000,000, which is incorrect. The correct number is far higher, nearly 154 Million in August 2011 (BLS). We must have had a larger number of people unemployed. The top four sectors listing the most jobs remained constant for July and August 2011 during 9.1% national Unemployment: Transportation, Manufacturing, Construction, and Information Technology. Ranking come from BLS as well as Indeed.com and SimplyHired.com, which gather all positions open listed on all Internet sources. Healthcare experienced a record high for listings in July 2011, holding fairly steady in August. Manufacturing jobs, by August, had increased a full 37% for 2011. Education related jobs increased 10% over August 2010. 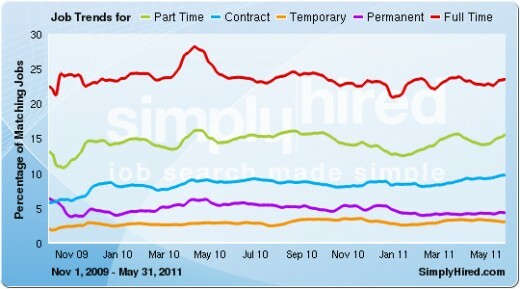 Human Resources jobs reached nearly 73,000 in August 2011 on SimlpyHired and Indeed. 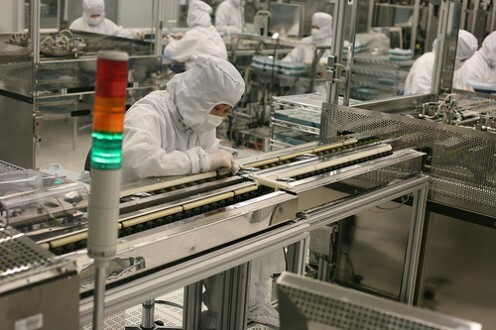 Laptop drives manufactured at Seagate. The following sections comprise a summary of the most frequently advertised jobs for this time period, across the country, by pay range. On September 15, 2011 New Jobs Listings increased by somewhat 500,000 from 9:00 AM to 9PM, to over 3.6 Million nationwide. Travel Physical Therapists and Travel Occupational Therapist – The demand for travel healthcare positions like travel nursing, travel phsycians, travel physical therapists and others is growing. These jobs pay higher wages, provide up to a year of rent or mortgage payment, and additional fringe benefits. Watch for this field of work to increase further after 2020. Shift Supervisors – Wide range of industries. Over 600,000 jobs fall into this category, September 2011. Which Jobs Will the American Jobs Act Increase? Some jobs are increasing naturally in the national job market, many beingService Industry jobs that increase as the population increases. Not all US States enjoy the same rate of increase and some states do not increase in these jobs. These positions include openings in grocery stores, dining establishments, schools, daycare centers, hospitals and clinics, retail outlets, entertainment venues, a variety of sales venues, and others. Freight Transportation for sales should continue to increase as well. It remains to be seen which jobs the American Jobs Act will increase long-term, but one prediction is that low-to-moderate pay ranges will experience increased jobs. The largest sector of Americans does not possess the education and certification required for most of the highest paid jobs advertised during this time period. Hopefully, tax cuts and incentives will spur the many imaginative and adventurous among these citizens to open their own businesses and create jobs for others. As privatized space flight, singly and in partnership with NASA, more strongly targets retrieving natural resources from Mars, the asteroid belt beyond, and possibly from Earth’s moon, associated planning, manufacturing, and operations positions are likely to increase in number. Alternative energy production can create new jobs, as can accessing the oil and natural deposits in North Dakota, Alaska, Ohio and other states. Information Technologyis entering every industry and nearly every job and will continue to expand in jobs as it does so.Infrastructure improvements can produces 1,000s of jobs as it did in The Great Depression. The Ohio River Bridges Project is one example – each bridge involved needs replacement and the surrounding state economies need those bridges. India vs the Philippines: Where is the Future of Outsourcing? influenced culture. Right now although, far more and more American companies as well as other multinationals are transferring their operations from India to a driven BPO competitor from Southeast Asia: the Philippines. While India still has the bigger share of the pie, the Philippines is rapidly catching up to the outsourcing giant due to the fact of its crucial key advantages: much better infrastructure, customer-service-oriented workforce, and deep appreciation, understanding and powerful practice of the English language and American culture. We pit India and the Philippines head-to-head against each and every other to know which is the wiser option for outsourcing or offshoring operations and who has the future in their hands. India: Losing Its Momentum in the Outsourcing Race? Great Numbers – The major strength of India is its numbers. Every single year, 120,000 IT experts enter the Indian workforce due to the fact of the education system that emphasizes science and mathematics. Bandwidth in India is also commendable due to their private undersea cable and the state-owned Videsh Sanchar Nigam Limited. Telecom rates are really low as a result of the industry’s privatization. Furthermore, software development remains a very lucrative organization in India, attracting established IT companies such as Microsoft, IBM, HP and others. Suffering Top quality – For all its advantages, India may be speedily losing its momentum as the leader of the BPO business. 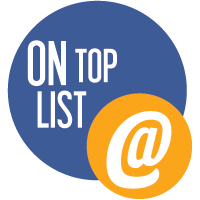 According to a survey conducted by Kelly Services Inc. with headquarters in Michigan, India is losing its position as the number one selection of US companies for backroom operations. These firms are supposedly searching at the Philippines very first simply because of the country’s superior top quality in output. India also has a dilemma with its staff turnover at 31%, with 67% of its workforce transferring to other competing call centers. As a consequence, staff tenure in India is staggeringly low at only 11 months. South Korea has the longest staff tenure with 24 months, followed by the Philippines at 19 months. Poorer English Accent – Far more importantly, although several Indians do speak English, their accent is still too thick, which may result in tough conversations with frustrated clients. This could be 1 of the factors in the choice by Tampa-based Sykes Enterprises to move some of its call center operations from Bangalore to the Philippines, as reported by The Motely Fool, a commercial web site about investment and finance, and the Tampa Tribune. Ideal Environment – The Philippines is fast catching up to India in terms of servicing the growing BPO market. Compared to India, the Philippines’ telecom infrastructure is vastly far better and organizations are much more safely set up and maintained because of the stable environment, growing economic incentives and extremely skilled human resources. American, European and Australian businesses that have already outsourced to the country are presently saving 40% to 60%, which translates to boosted profits and capacity for expansion. Top-notch Workforce – There is also no debate over which workforce produces output with the higher quality. For instance, in terms of call center operations, Kelly Services in Michigan found out that the Philippines has the highest agent productivity in the region. Filipino call center agents manage an average of 107 outbound and 98 inbound calls in a day compared to Indian call center agents who can only manage 78 outbound and 73 inbound calls per day. In reality, looking at the bigger picture, the Philippines trumps India when it comes to the general good quality of its workforce. The Philippines is presently ranked number 1 in the availability of knowledge-based jobs and workers in the entire world. Moreover, in terms of labor good quality, the Philippines is ranked 4th amongst all Asian nations as a study by US-based Meta Group concluded. More Westernized Experts – The key to the Philippines’ recent hammering of India may possibly be its deeply entrenched American influence. The country was colonized by Americans for 48 years and today, Filipinos live highly Westernized lifestyles, involving watching American TV shows and movies and speaking the English language in all its schools and branches of government. Filipinos are prized by their American employers by their excellent American accent, which is oftentimes indistinguishable from real American English. The customer-service orientation of the Filipino labor force also proves to be a large plus, as attested to by Mitchel Chang, Philippine internet site manager of Tokyo antivirus software program organization, Trend Micro, which employs over a thousand people in the country. According to him, Filipino professionals are service-oriented, responsive and passionate and speak powerful English. High Literacy Rate – The high quality of the Philippines’ workforce is sustained by its impressive literacy rate of 93.four% according to the United Nations Development Programme. India pales in comparison with a mere grade of 61.%. Diverse Outsourcing Opportunities – Like India, the Philippines delivers offshore software development, call center operations, Internet development, and other IT services. But it doesn’t end there. Over the recent years, the Philippines has been performing excellently in the global animation marketplace, which is growing since of the increasing popularity of 2D and 3D animated shows, movies and games. Main animation studios like Marvel, Disney, Warner Brothers and Hanna Barbera have already established offices in the Philippines, as well as Japanese anime studios like Toei. Yet another really promising business is outsourced medical transcription, which thrives in the immense medical talent pool of the Philippines. The huge number of nurses, medical technologists, doctors and specialized medical transcriptionists in the country has been able to meet the increased demands of US hospitals, which are now required by the law to convert medical records into information format. Several significant firms have already set up operations in the Philippines, such as MSN-Microsoft, AT&ampT, IBM, Washington Mutual, Sallie Mae, Expedia, Intuit, Transunion, Alltell and Bellsouth. Far more and more modest and medium-sized American firms have also chosen the Philippines as their BPO headquarters of choice. With all of these positive qualities going for the Philippines, all signs point to the tide of battle shifting soon in its favour. Reading from all present indications, the future of outsourcing or offshoring is clearly not India, but the Philippines. VirtualeStaff is a contract staffing company that helps U.S. businesses reduce expense and retain talent for administrative jobs by recruiting highly skilled employees from, and maintaining infrastructure in, the Philippines.